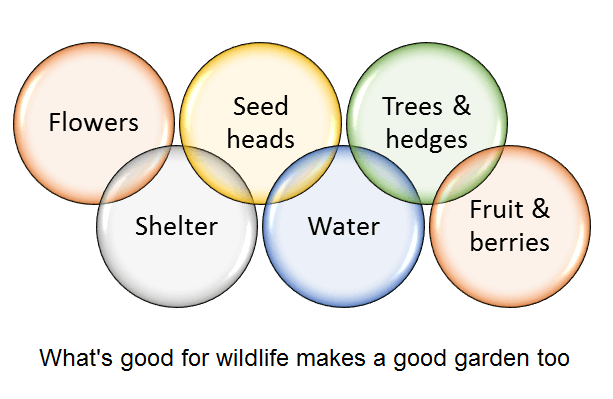 Gardens are vital in providing habitats & corridors for wildlife to live and travel esp in urban areas. Here are some simple tips on how to make your garden more friendly to wildlife without sacrificing the atractive, family garden that you really do deserve. Be realistic about what you can attract from the local area: eagles & red squirrels are unlikely in most of UK! Water is great for wildlife both living & drinking. Large pot can form a mini pond if lack space. But keep it safe. ← GYO but what & how much?